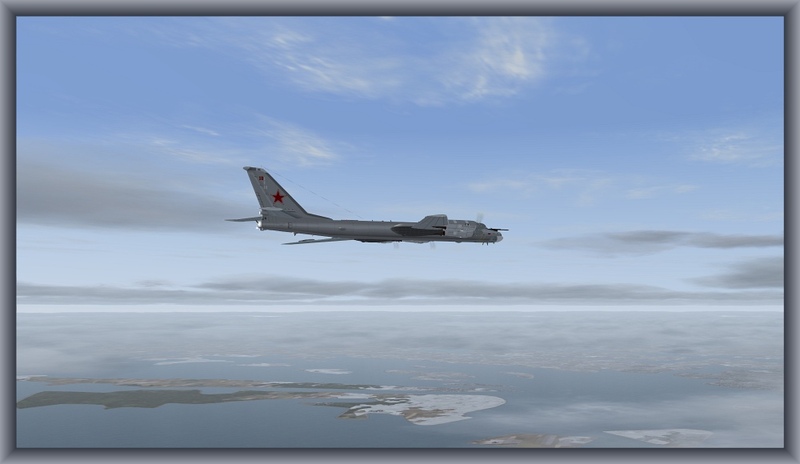 The Tupolev TU-95MS Bear, that is. 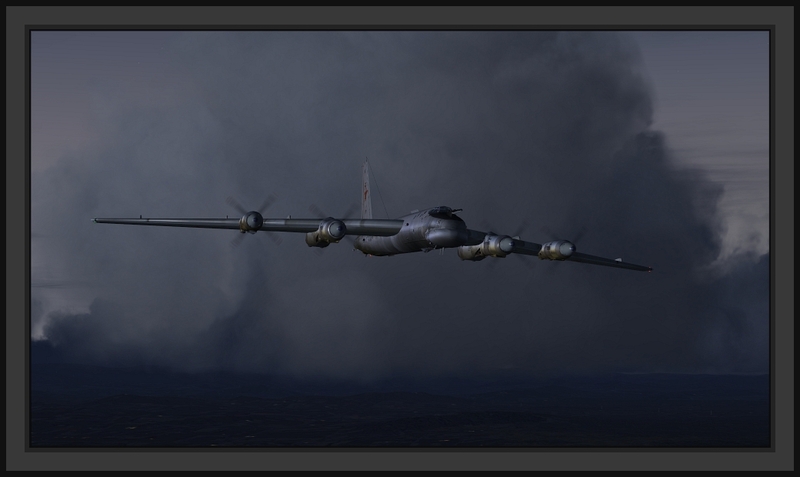 :-) By Vladimir Zhyhulskiy https://simviation.com/1/search?submit= ... p&x=27&y=9 and a fun, lumbering aircraft that's still flying in the real world, predating the B-52 by years. Essentially the fastest prop around, those contra-propped turbines propel this beast along at respectable velocities and range. 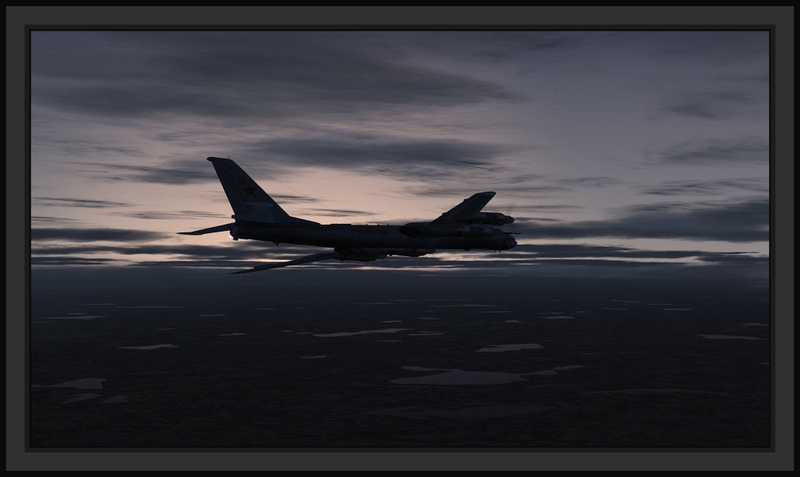 Showing her here in screenshots captured from 1 of 3 "Bright Skies" sets I'm working on. 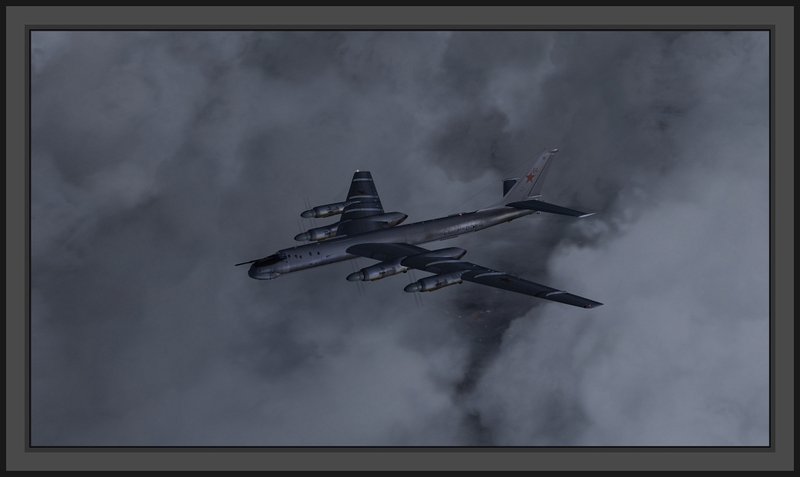 Screenshots are a great help in polishing light, saturation, and color balancing to the many sky textures. Goal: Realism. Many small lakes and ponds to our immediate east here, border of the Sandhills of Nebraska. Striking sky and clouds can really make a screenshot. Sets the mood. Nice 2-D cockpit actually. Oval instrument displaying from widescreen, as with all the others. Am missing my old 3 x 4 format monitors sometimes. 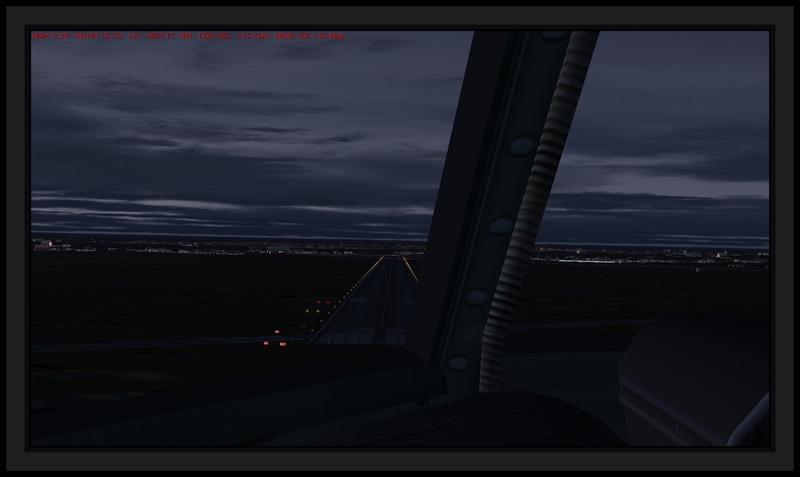 Never had a bad landing with this smooth bird, even in crosswinds with some turbulence thrown in. 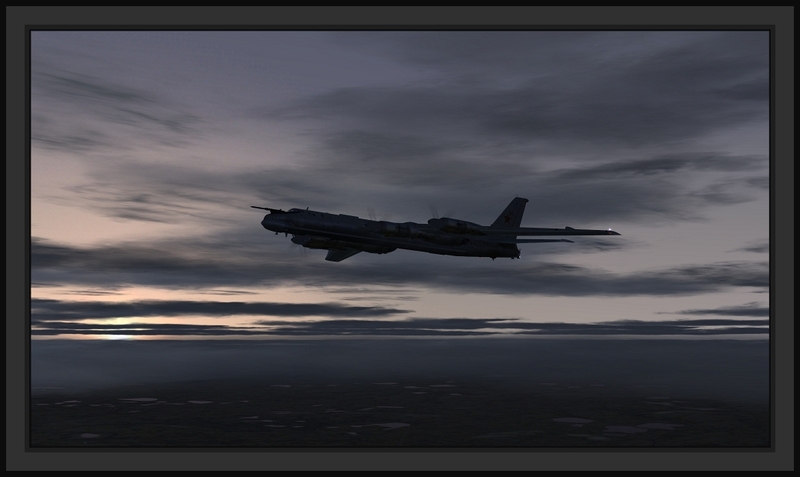 When I was younger, flying Mach 2 while burning off my hair from the virtual friction was cool. 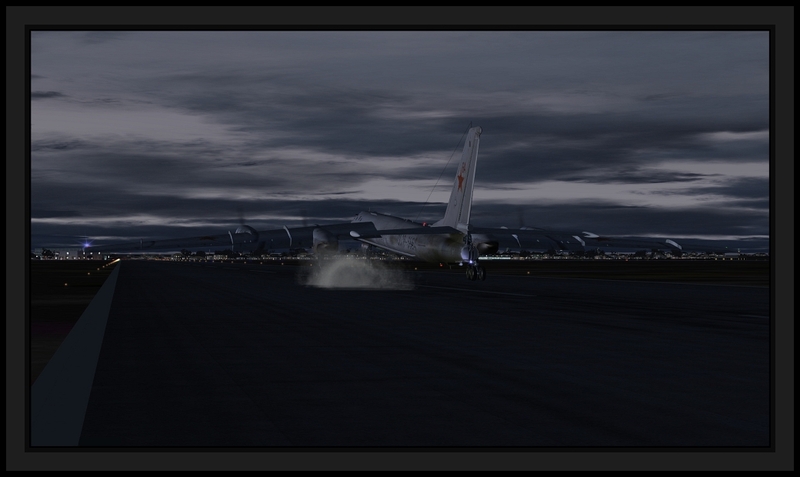 Now I'm perfectly content to fly heavies smoothly and gracefully. 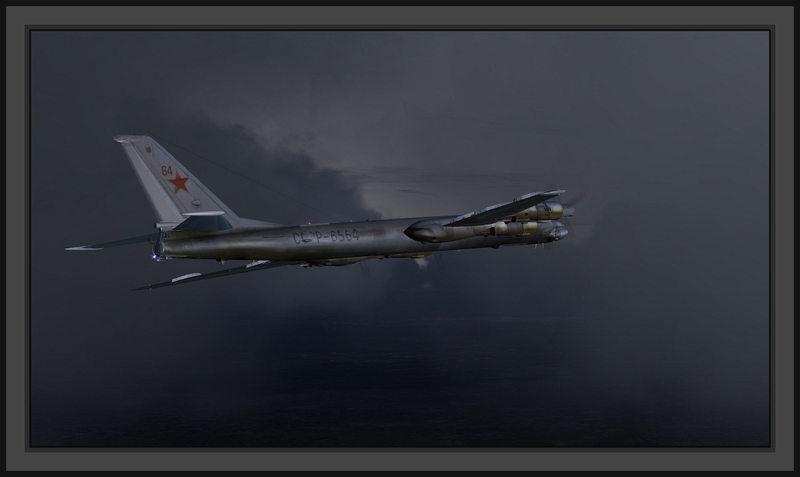 I have seen that aircraft, TU-95MS Bear, on photos and on TV when it is very close to swedish airspace. And also on dito UK for the same reasons. 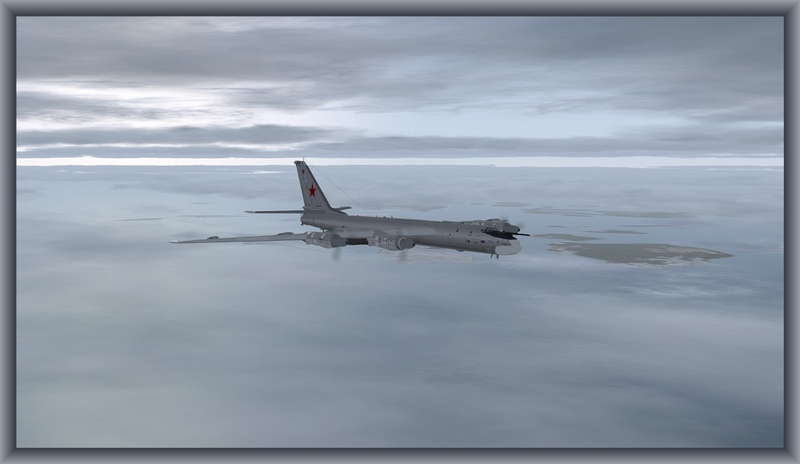 Bofredrik wrote: I have seen that aircraft, TU-95MS Bear, on photos and on TV when it is very close to swedish airspace. A Russian-flagged Bear was recently off your eastern border. A reconnaissance model perhaps? Carrying no nukes though word is a flask or two of .vodka. fuel enhancement was aboard. Thanks for the comment, Bo. Send in the Saabs! Intercepted Bear crew members will hold up copies of popular U.S. magazines to our crews and other such tactics like waving enthusiastically at us. The encounters can last over several tense hours... and they can cover many miles during the process. 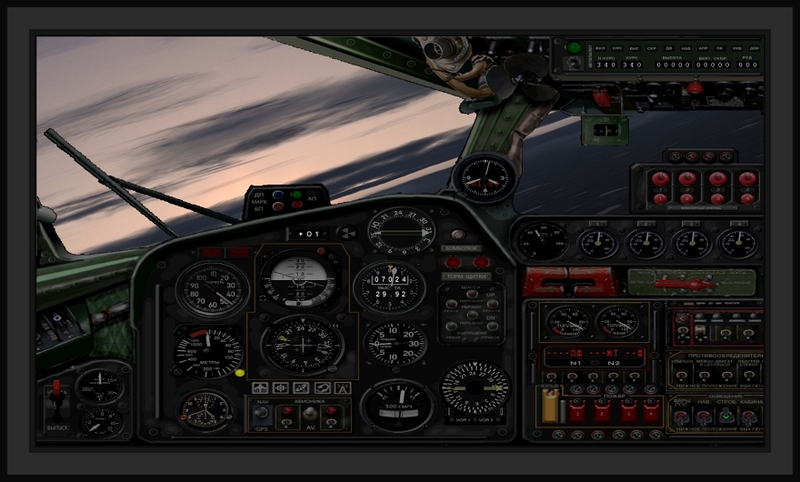 Bears easily cruise 425+ knots. This is reminding me of some history here. The native nations on this North American continent before we white skins appeared on the scene would often fight one another, but usually not in the sense of being brutal enemies. The Lakota Sioux and the Absaroka Crow are good examples. They were "enemies" long ago, though it essentially came down to two peoples keeping each other strong. Encounters were more often than not to help train the younger men, killing was not honorable, and most fights were not all that more dangerous than modern American football games when it came to it. The elders would separate the groups if things got a little too heated when someone got hurt or killed. My point: Am seeing the same thing in principle happening with Soviet and then Russian Bears pushing, probing, testing other's defenses. It's a good thing, in my opinion. Besides, have suspected many years ago that behind the scenes that the Russians and U.S. Americans have actually been good friends for a long while.